Titanmaster Transformers, they've got the power to surprise! 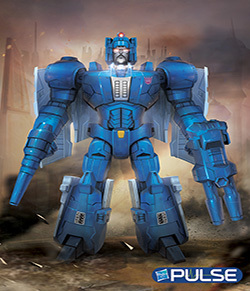 The new Titans Return Transformers toys have started hitting physical and online retail the past weekend. 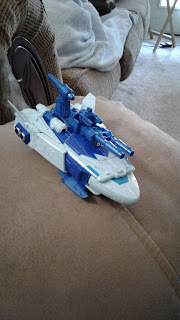 Fortunately, I managed to grab the new deluxe Scourge toy. I've been really looking forward to these as they hit all sorts of beats I love in Transformers as well as toys in general. Titans Return follows Combiner Wars in the Prime Wars trilogy (there was some legal reasons for not calling the line Titan Wars, which was a better name). At first glance the toys seem like a rehash of the Headmasters from G1 and kind is. However it's also extremely similar to the Micromasters toys as well. 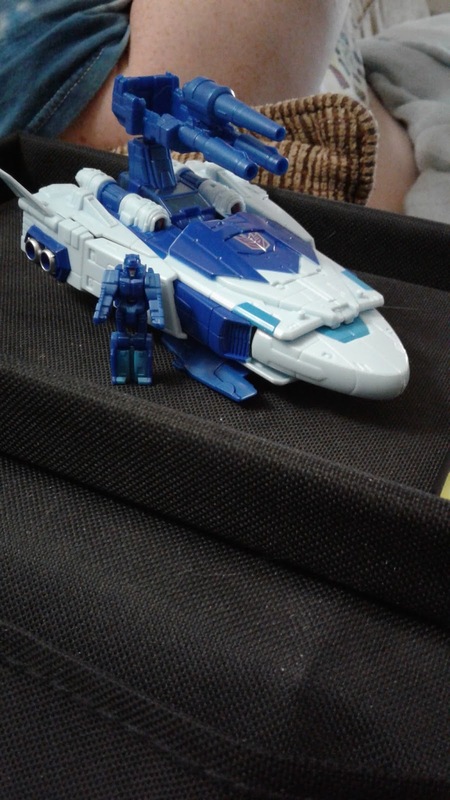 It would be fair to call it a combination of Headmasters and Micromasters. Fracas (who was Scourge's Targetmaster back in G1) can be a gunner or a pilot for Scourge's vehicle mode. 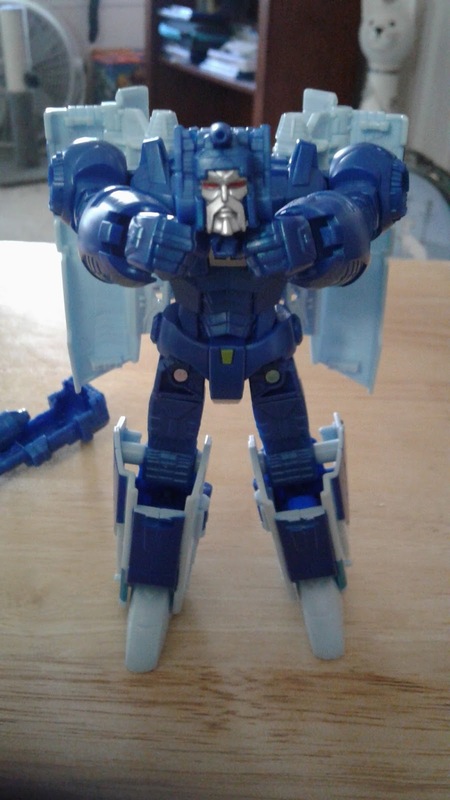 When Fracas converts into Scourge's head, he can be snapped into place easily and even can move about, adding to Scourge's pretty great amount of articulation. Neatly enough, Scourge's gun resembles Fracas's G1 Targetmaster gun mode. 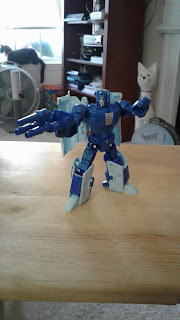 Scourge is a really pleasant looking toy. Pleasant enough for me to look over his few short comings. He is a little loose in some joints and the arms are a bit hollow. 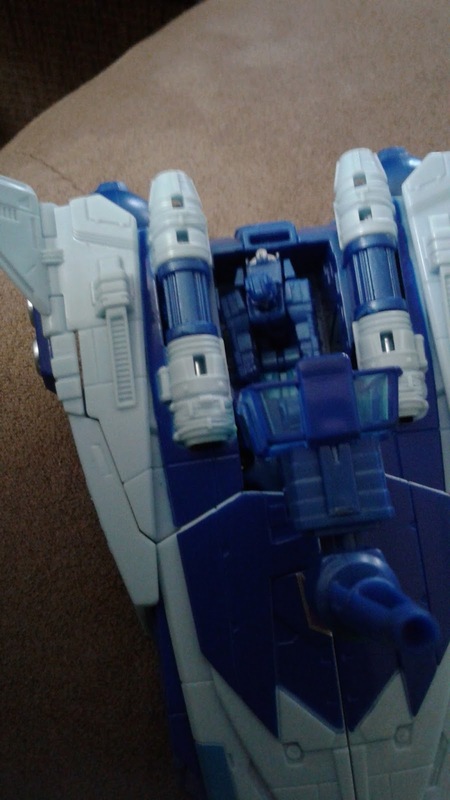 These are little problems that could have been fixed with better plastic tolerance for the loose bits and the hollowness is a symptom of the economic conditions in the current toy market. More solid parts = a higher priced toy. At 16$, I can deal with some hollow parts. I do wish, however, it was hidden better. I can assume later assortments will be better. As is the case with all retail toys. 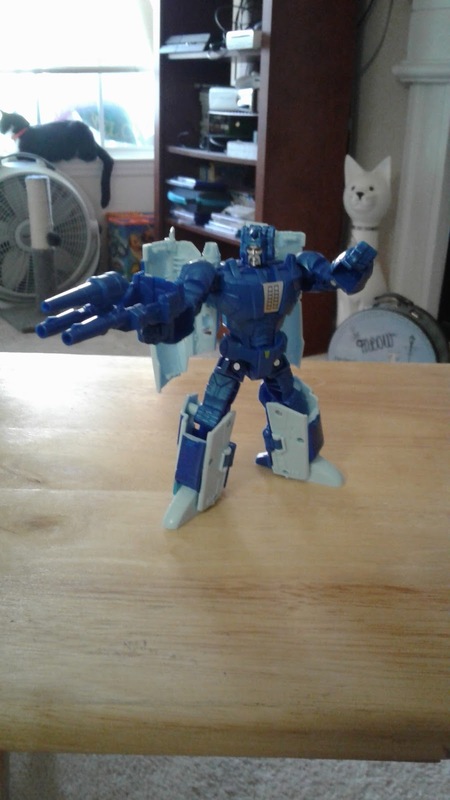 In all, I am really happy with my first Titans Return figure. Scourge excites the Transformers fan that I am and all the cool features of his gimmick ignites my imagination. I've already seen fans come up with various 'what if' scenarios for the line and I can just imagine a kid getting a hold of this toy and having a ton of fun. As much as I liked Combiner Wars, this looks like not only a better line, but a much more fun experience for me as a fan.